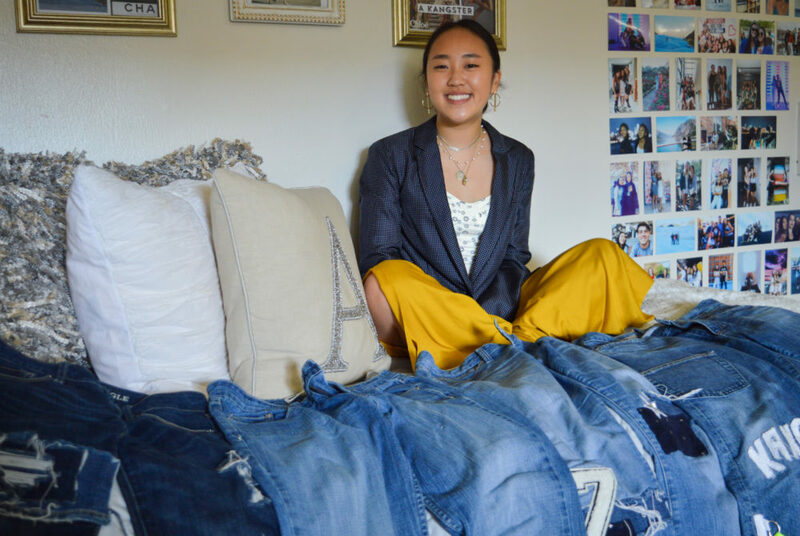 Freshman Andrea Kang, a business major, sells and revamps denim clothing right out of her residence hall room and has had more than 50 customers. Before football games at the University of Wisconsin, freshman Ava Markham slips on her “one-of-a-kind” jeans, distressed with rips and embellished with a patch of the school’s badger mascot. Markham’s jeans were designed by Andrea Kang, a freshman majoring in business administration, who takes denim clothing and transforms it with her own personal flair. Kang, who started her business in high school, said she wants to use the company as a stepping stone to break into the fashion industry. “Since we were kids, Andrea always showed natural talent for anything art-related,” Markham said. Kang said she takes old denim clothing like jeans and skirts from customers and distresses the articles into a fresh piece. The company is playfully named Jeanne Bleu, which means jean blue – the opposite of blue jeans – in French. Each of Kang’s creations is personalized with input from her customers. From added-on patches and rips to embroidered florals and lace trimming, Kang’s items are customized to the taste and style of her customers. Once she receives an order, Kang will ask her customer what they want in their clothing and sketch out different designs the person can choose from. Kang’s products are each named after various women’s names like “The Noelle,” “The Camille” and “The Sarah,” and they range from $20 to $50. One of the clothing company’s most popular sections on its website is “College Corner,” located under the clothing tab, where Kang sells college-themed denim skirts and jeans for Big Ten schools like the University of Michigan and Pennsylvania State University. Kang also sells GW-themed apparel – under the same section of the website – embellished with buff and blue patches and other decals. Since she launched her business during her sophomore year in high school, Kang said she has received more than 50 customers. She said peers began to ask her where she bought her own pair of jeans that she distressed herself when she wore them to school, inspiring her to start her own small business. “I told them that I made them myself and all these girls started wanting to get a pair from me because it’s one of a kind and no one else had something like that,” she said. While Kang said she has always loved fashion, Jeanne Bleu was the first fashion project she pursued for people to purchase her designs. 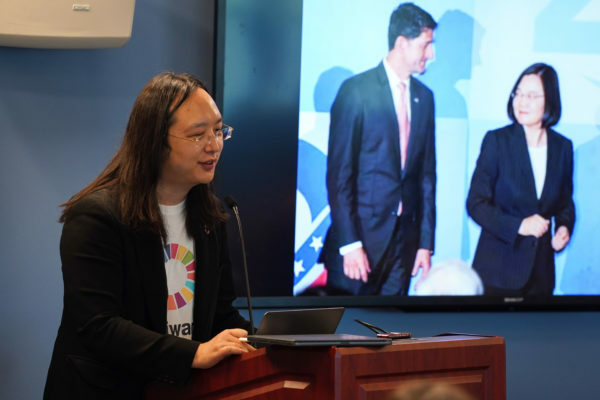 Before she came to GW, Kang said she did not plan on continuing her clothing company because she thought she wouldn’t have the time. But Kang decided to continue designing clothing out of her residence hall room when peers began asking her to fix up their old denim clothing after seeing her work. Kang said creating clothing can be time-consuming – each piece can take up to four hours – but she said it is “exciting” to see people wear her custom designs because the clothing is an expression of her style.